Runners Connect » » Training Articles How Quickly Can You Recover From Overtraining? How Quickly Can You Recover From Overtraining? Following on from our previous post, Are You on the Verge of Overtraining, this article now focuses on how to recover from overtraining when you realize that you have gone too far. 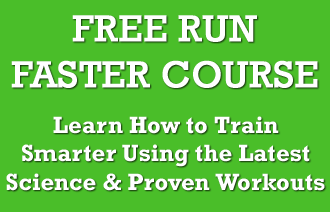 We will show you how you can return to running as quickly as possible. If overtraining or Under Performance Syndrome (UPS) has really taken hold, it can take many months to make a full recovery. You may be suffering for a long time with any combination of chronic fatigue, insomnia, inability to train, loss of appetite, poor running performance, ongoing illness, depression and weakness. It’s not a great place to be. If you do find yourself with UPS, try to the down time constructively. While you’re resting and recovering, analyze how you got there, and how to make sure you go never go there again. How quickly can I get back? Don’t rush your return to training. It can take 6 months-2 years to make a full recovery from UPS. Cancel your races, training camps and tear up your ‘schedule’. Accept that this could take some time. Dr Mark Wotherspoon – Consultant in Sport and Exercise Medicine and Southampton Football Club in the UK – recommends a multifaceted return to exercise and a package of support, coaching and therapy. “Sleeping is a massive part of recovery” he explains “rest as much as possible and don’t seek the magic bullet that doesn’t exist. Hunting for a quick fix or a nutrition supplement to ‘cure’ you wont’ help. Give yourself time, rest, tick over and slowly build back up. With my athletes they might do 20 mins on the exercise bike at 50-70% of their Max Heartrate twice per week. When that goes ok, then we’ll increase it to 30 minutes. It’s a slow and gradual return to play”. Dr Wotherspoon also suggests that athletes benefit hugely from psychological support, counselling and possibly even anti-depressant medication. There are a number of practical ways you can assess your training and the signs and symptoms of UPS before it takes hold. Using a combination of these methods should help you gain a better insight into your training, performance and recovery and stop UPS in its tracks. Keeping a detailed diary may help in the prevention of overtraining and will aid your return to sport if you’ve already slipped into the realms of UPS. It can be useful to record your training volume, distances, and times, along with variables like your weight, resting heart rate and make a note of sleep and work volume. This continual monitoring and adjustment allows you to get more in tune with your body’s signals and learn to balance training with rest. Be honest and if you’re regularly writing comments about being run down or exhausted, take a step back and think about to adjust your training load and life stressors. The Daily Analyses of Life Demands for Athletes (DALDA) — First produced in 1978 by Dr Brent Rushall at San Diego State University and later revised in 2011- is a self-report sport-specific tool to help athletes monitor their individual stress response, training load, and signs of overtraining. Using a tool like the DALDA may help to monitor your training and help avoid UPS or manage a return to training. Becoming more aware of your own personal response to training, rather than following a set plan, is a crucial skill for all runners, and the DALDA may be key to that ‘intuitive’ approach. Your resting heartrate can be an indicator of recovery status. Get to know what your resting heart rate is, and measure it each morning before you get out of bed. A rise of 5-10 beats from your normal rate is an indication that you may not have recovered from a previous session, you are excessively fatigued and you would benefit from either resting altogether or having a lighter session that day (easy running at no more than 70% of your maximum heart rate). Recovery heart rate is another helpful measurement. Check your heart rate 2 minutes and 5 minutes immediately post exercise. Look at how quickly it drops and how long it takes to get to 10-20 beats above your pre-exercise rate. If your heart rate is failing to drop as quickly as in previous sessions, it can again be an indication of insufficient recovery, fatigue or stress. Monitoring your training heart rate. If doing repeated bouts of too much high intensity, high volume training is part of the reason you’re overtrained, then it makes sense to monitor this aspect of your training in future. Keep your heartrate around 70% of your maximum and allow your body time to build a solid aerobic base without too much stress. Be strict with yourself. If you find your heartrate creeping up, then slow down (walk if necessary), and keep it to the right zone. If you don’t know your maximum, try using the Maffetone method (180 – age) to get your ‘training heart rate’. Maffetone suggests subtracting another 5-10 beats from this figure if you’re recovering from illness or overtraining etc. It might feel slow, but it gives you structure for your training and permission to slow down. Spend 3-6 months training like this before you consider speedwork, marathons or racing. Depletion of carbohydrate stores is clearly linked with a rise in the stress hormone cortisol, thereby reducing immune function and the body’s ability to fight infection. We covered this in our post about running while sick. Chronically elevated cortisol levels leave us wide open to coughs, colds and upper respiratory infections as well as having a catabolic effect (breakdown) on muscle tissue. Timing and volume of carbohydrate intake is critical, not just for performance during training and racing, but to protect the immune function and allow the body to recover from the stress of training. The use of carbohydrate during lengthy endurance and tough interval sessions may be useful in preventing carbohydrate depletion. We covered this further in our post showing you how to eat yourself out of overtraining. A study on overtrained v’s non-overtrained runners found that the athletes suffering from UPS consistently neglected their recovery nutrition. They also took in fewer calories, less protein, and less carbohydrate immediately post exercise than the non-overtrained runners. A recovery meal or drink comprising a mix of protein and carbohydrate should be taken on board within 30-40 minutes of training. This can even be as simple as chocolate milk, but we have a post on other foods you can eat after a run if you would like more information. An understanding of where your training ‘threshold’ lies (given your current life stressors) is, without doubt, the key to avoiding this debilitating condition. Balancing your training schedule, lifestyle, and race goals needs to be the main consideration. This may mean adjusting goals and psychologically assessing what you want to get out of running and competing. A marathon PR may be possible in theory if you had nothing else to do, but combine it with a new born baby, sleep deprivation, and a high stress job; and overtraining is only a small step away. The body and mind can only take so much. Training and racing is just another ‘stress’. Instead of pursuing a PR every time, enter some fun off-road races or even a triathlon or adventure race. This will take the pressure off, and will allow you to focus more on what sports psychologists call ‘process goals’ – simply enjoying taking part rather than obsessing over the ‘outcome’. Of course if you want to perform to your best you must train hard and push yourself to your limit; but the key is learning what that ‘limit’ is for you as an individual. Forget what your fellow club runners do and don’t blindly follow a training schedule which, given your lifestyle, may be entirely inappropriate. Learn to listen to your own body, get in tune with the signs and signals and trust what it tells you. Work out how to balance training with life and don’t beat yourself up so much! Stay healthy, train hard and rest well. Rushall, B. S. (1987). Daily analyses of life demands for athletes. Spring Valley, CA: Sports Science Associates.